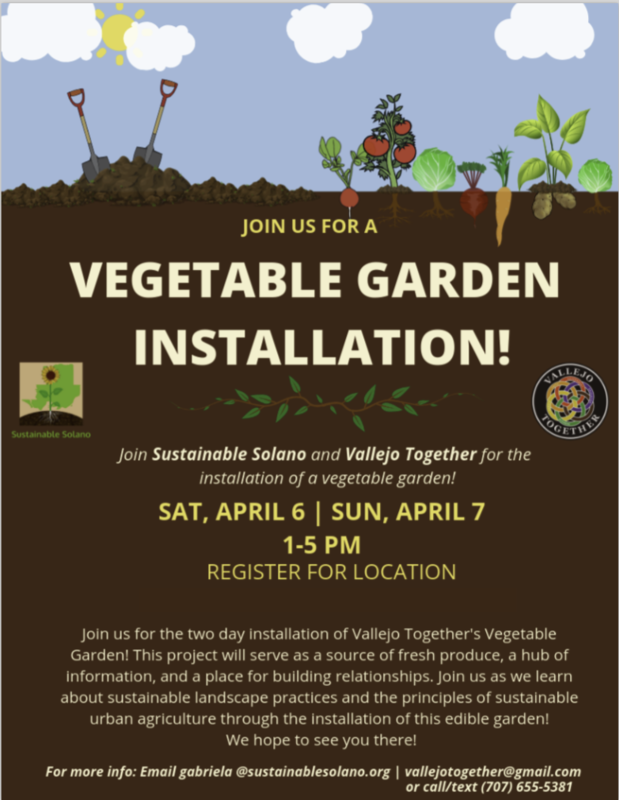 Join Vallejo Together and Sustainable Solano for the two-day installation of Vallejo Together’s Vegetable Garden! This project will serve as a source of fresh produce, a hub of information and a place for building relationships. Join us as we learn about sustainable landscaping practices and the principles of urban agriculture through the installation of this edible garden! We hope to see you there! This program is funded through the generous support of Solano County.